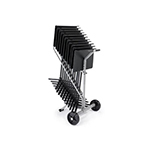 The Classic 50 stand is the end result of a half-century of experience with music educators just like you. 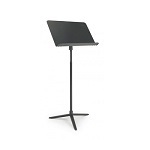 By thoroughly understanding your day-to-day needs and recurring problems, we've been able to create a music stand that delivers traditional elegance without all the traditional headaches. The Classic 50 weighs just 6 1/ 2 lbs. (2.9kg). Its special polymer material has an inherent tensile strength that will not bend or dent like metal. Add striking looks and quiet, rattle-free operation and you have a refined performance stand that's also tough enough to handle the hardships of the classroom. สแตนด์วางโน้ต Wenger รุ่น Bravo The finest stand earns the greatest applause. Wenger’s revolutionary Bravo Stands are more than just elegant - they’re nearly indestructible thanks to a polystyrene composite desk that won’t chip, bend or dent. 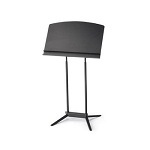 Plus, Bravo’s sophisticated styling fits any occasion and the exceptional overall quality means Bravo stands will perform beautifully for years. • Base is welded - not bolted - to eliminate wobbles, leaning and the need for tightening. • Patented desk-height adjuster moves up and down easily and holds securely in place. • Accessory shelf keeps items such as pencils and reeds in a convenient spot. - โครงสร้างโลหะน้ำหนักเบา ขาตั้งน้ำหนักเพียง 2.9 กก. 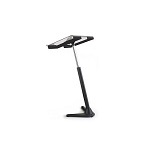 The Roughneck stand is a great investment because it's so durable and easy to afford. Its welded base always stands up straight, never leans or wobbles, and never needs tightening. And the newly improved height adjuster keeps the desk top from coming off the stem. Used alone or as part of the Flex Conductor’s System, the Flex? 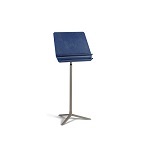 Conductor’s Stand let’s personalize your space in a professional manner. Enhance Your Personal Style – Dual-lock desk and trigger release height adjustment makes positioning the stand easier. Stay Organized – Optional baskets keep everything within reach. TechBridges with optional accessories let you configure a keyboard, laptop, iPad, desk surface, cup holder and more – all within easy reach. Good Looks – Professional, contemporary styling with choice of clear polycarbonate or high-pressure laminate desk. 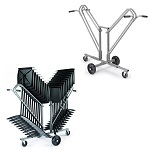 Easy Mobility – Wheeled base allows easy transport from one venue to another. The refined desk, high-end black finish, and dual posts give this stand all the appearances of a much more expensive piece of equipment. And the durable, stable design with ample desk space and under storage enhance that sensation. Thankfully, that's Wenger engineering at work, because the Preface? 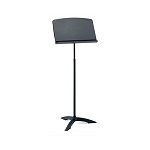 Conductor's Stand is actually exceptionally affordable. It's also extremely lightweight and easy to use. In fact, it's been exquisitely fine-tuned to give conductors more stand for less money. - ขนาด 27.5" x 68"